Made my first Ludum Dare entry for LD26 in April 2013. You can check out my other small projects at aergia.dk if you want. Snowman Stacker on Google Play! I put my little game up on Google Play. It’s a post-compo version with improved physics and graphics. And a hi-score! So I’ve only just begun. I really wanted to make a game about a snowman, so I will! And fit him in one screen of course. Going to be some sort of physics, snowball rolling… thing. Whatever I can get done in the next five hours or so. So I managed to make a little adventure-like game in Twine and tie it into a graphical part running in the Unity Web player. Since it took me some time I figured I might as well share how it works (it’s probably rather simple and obvious to a lot of you, but I had to do a bit of trial and error). The game itself is a weird little thing, the story didn’t make much sense, but I hope it gives a nice atmospheric little experience. The mechanics, however, seem rather solid and I hope I can use it for later projects when I want to combine lots of text with some animation/graphical interaction. Now, loading it up should display the Twine story and the Unity game side by side, but it needs a little more for them to become friends. This could be enough for lots of projects! But there’s more. And that’s all there is to it really. Figuring out the state.display(a) call took me a while, and if you want more functionality (passing parameters to twine e.g.) you’ll need a little more than this, and I’m not sure if or how it’s possible. 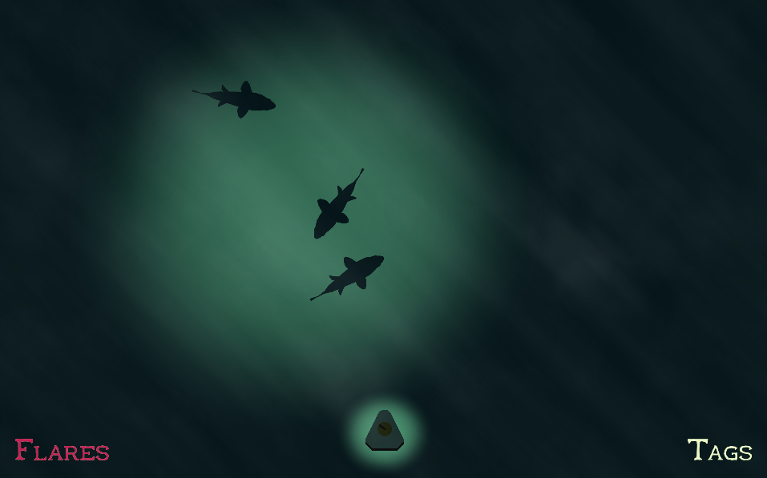 I’ve added the sourcecode for my game at the submission page here. Questions or comments, other games doing something similar, let me know! Twine and Unity, friends with possible benefits. Give it a try! But there is only the one train car so far. Not a game yet! Getting ready for my fourth compo! Not quite sure which theme I’m hoping for or what sort of game it’ll be, but I’ve been watching a lot of Twilight Zone lately… that might work. I was thinking I’d try to do a Twine game this time, I’ve never done any interactive fiction. At the risk of drowning in the flood (ha!) of posts near the deadline… Fathoms is done. Go tag those fish. So I managed to turn my little pond into a game after all! Give it a try, I’ll see if I can’t put together an intro and some sounds in the next hour before I go to sleep. The object of the game is to shoot all the fish with electronic tags, and not disturb them by hitting them with the boat. Both flares and tags have a cooldown, when the labels are red they’re recharging. I think I’ll put a timer on the flare, so the player can shoot a flare every X seconds, and then a cooldown before he can throw something to tag the fish. I originally planned to have some dangerous fish that would react to movement, or something, but I don’t have time for that. I hope to post something playable in an hour or two. Bed time! But I’ve gotten some more life into my little pond of a game. It was a bit of a struggle to get Unity 2D and iTween to play nice together… but I seem to have gotten the hang of it and have little koi like fish swimming along paths. Tomorrow I’ll add the player… and hopefully by then I’ve figured out exactly what the point will be. So I only begun working earlier today. I’m in a bit of a hurry I suppose since I’m not even sure what the goal of my game is yet. BUT I do know it’ll be about spotting creatures under the sea by dropping flares and looking for their silhouettes. Here’s a gif of what my game looks like now, no game parts, just animated layers. I hope to have something small and playable tonight (it’s 10.30 pm here) and polish it tomorrow. I think I’ll focus on a simple mechanic and a gloomy, lonely mood. Done! And with time to spare… what’s the rush? The Lamb needs your help! There’s a wicked culprit hiding among his children, killing them off one by one. Can you figure out who it is before it’s too late? Although there are still some hours left I really doubt I’ll make it in time for a Compo entry. It’ll be a jam instead… again. On the plus side it’s almost a real game now. Point out the culprit before it murders everyone! I really can’t think of a good name so feel free to suggest something! I’ll head to bed in an hour or so and hopefully finish the last couple of things after work tomorrow. It took a lot longer to settle on an idea than I expected. Not much resembling a game yet, but the foundation feels rather solid. I’m feeling groggy so I better stop coding for now. The game will be a sort of whodunit, find the murderer sort of thing. Every ten seconds the lights go out and the murderer kills another in the congregation. The murderer can only kill some of them (in this prototype only those with less arms than himself…). So by watching who dies every round the player has to guess who the murderer is before everyone is dead. Accusing someone of being the murderer reveals their true leaning and executes them no matter if they’re innocent or not. I want to work out some sort of way to make it really tough on the player to choose wrong, so basically each round you have to decide if you have the nerve to choose or let the killer take another and thereby give you another clue. I have no idea if this is too easy or hard… much less if it’s fun. We’ll see! This is my second attempt at Ludum Dare and I’m already starting a bit late. I only have a rough idea of what I’ll make so I guess I’ll more or less wing it as I go along Last time I had to enter in the jam because of time, hopefully I’ll make it into the compo this time.